The Skinny - HEALTHeME's Official Blog: Think juice helps you lose weight? Think again. Juice is a terrible option for weight loss. Recent reports that kids’ juice boxes contain poison have parents up in arms! Citing reports of increased amounts of arsenic in juice, parents and some safety agencies are calling for a deeper look at what’s in lunchboxes across America. While some forms of arsenic are thought to be fairly harmless to people, other forms of the chemical are lethal. One recent Consumer Reports survey found that juice drinkers have higher levels of arsenic in their urine than their juice-free counterparts. Plus, long-term exposure to the chemical has been linked to an increased risk for heart disease, diabetes, and several types of cancer. Maybe concern over the possibility of sipping poison will finally convince people to do what other health-related messages have failed to do: stop drinking juice! One recent study found that people who drink juice gain more weight than those who eat whole fruits and vegetables. Another study found that drinking just 3 or more cups of apple juice per month increased a woman’s risk for developing diabetes. But, apparently such health warnings haven’t been quite enough to curb America’s juice habit. One research group estimates that the average American consumes over 11 gallons of juice per year. So, aside from the obvious argument that we may be slowly poisoning our bodies by drinking contaminated juice, why all the fuss? 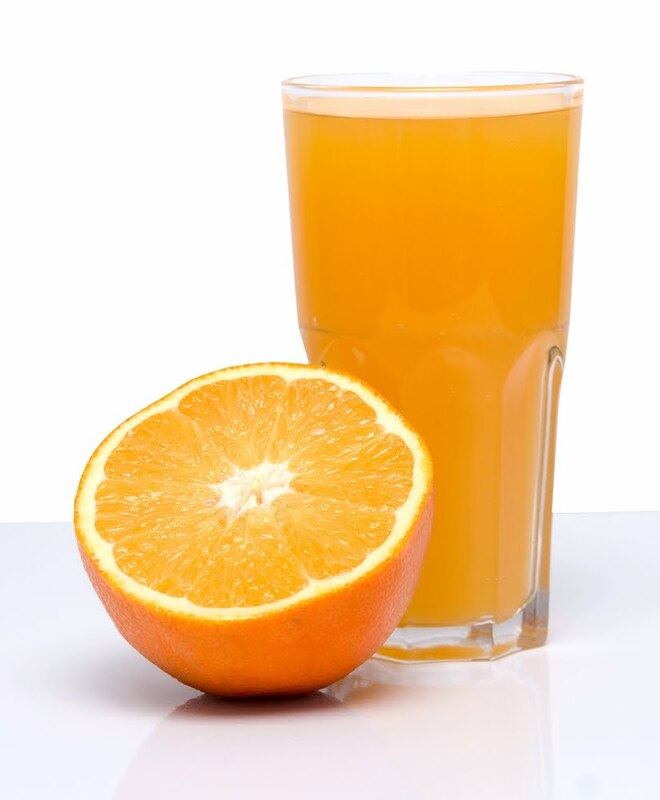 It’s true that juice contains vitamins and is often enriched, providing drinkers with a bit of a nutritional boost. But, according to the American Academy of Pediatrics, juice offers no nutritional benefit beyond what you get when you eat a piece of fruit. And because juice is lacking in fiber, whole fruits definitely have the nutritional edge. The juicing process removes most of the fiber from the fruit. Since fiber is a key to healthy weight, digestive health, and blood sugar regulation, it is important to eat the whole fruit and get your fill of fiber. It’s time to re-think your morning juice and opt for the real thing instead. If you are not ready to start your day sans juice, make sure you’re drinking only 100% juice, with no added sugars. You also need to limit your intake: children 1-6 years of age should only consume 4-6 oz. per day; kids 7-18 years and adults should consume no more than 12 oz. per day. And for those who are left wondering what to drink if the rule is “no juice allowed”, we’ve got one magic word for you: WATER.